First up we're heading Stateside for some haunted hotels in Los Angeles. There are quite a few stories about the Hollywood Roosevelt - allegedly one of the most places in the world. No stranger to glamour, the hotel opened in 1927 and has a star-studded history; it was the location for the very first Oscars and was often used for movie premiere after-parties. My favourite story revolves around one of my favourite Hollywood starlets though - Marilyn Monroe. She apparently haunts her old room (1200), where she lived as her fame grew - lots of people report seeing her in the mirror. Chateau Marmont has a reputation for celebrity secrets and (more interestingly) debauchery; hosting everyone from Britney to Jim Morrison. Blues Brother actor & comedian John Belushi was no stranger to the Marmont, partying so hard he actually overdosed in Bungalow 3. The most disturbing story involves a toddler whose family stayed there for a stint in 1999. Apparently the toddler’s parents would hear him laughing alone, and when they asked him why, he replied, "The funny man". One day, his mum was flicking through a book of celebrity guests that had stayed at Chateau Marmont, and the boy pointed to John Belushi and exclaimed, "The funny man!" Closer to home, there are a couple of spooky stays which actually have some last minute deals for you to enjoy over the Halloween period. The 4* Coombe Abbey Hotel in Warwickshire has plenty of history to share, having been built as a Cistercian Abbey in the 12th Century. The hotel and its gardens are reportedly home to a few unexpected guests - from the cloaked figure who can be seen wandering the castle grounds to the resident ghost Matilda. 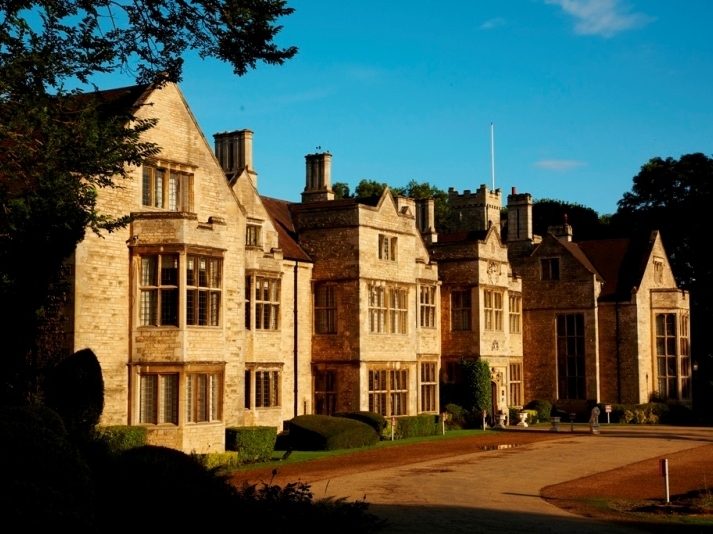 From £121 per room for one night’s accommodation for two people at the 4* Coombe Abbey Hotel, Warwickshire. Valid for arrival on 31st October 2017. Further north, Darlington is home to the Redworth Hall Hotel. Set within 150 acres of woodland, this Georgian manor house has a haunting history. If you're up for a spooky - and perhaps sleepless - night, you'll be in the right place. There's a jilted lover who walks the halls, as well as the sound of crying children which can be heard throughout the building. The blurb said it was a 'peaceful' retreat, but it might not be on Halloween! From £89.10 per room for one night’s accommodation for two people at the 4* Redworth Hall Hotel, Darlington, with breakfast included. Valid for arrival on 31st October 2017.